James Lovelock’s Gaia theory revolutionized the understanding of our place and role in the global environment. It is now accepted that our activities over the past two hundred years have contributed to and accelerated the extreme weather events associated with climate change. The fact that those activities materialized, for the most part, from within Western Christian communities makes it imperative to assess and to change their theological climate: one characterized by routine use of violent, imperialist images of God. 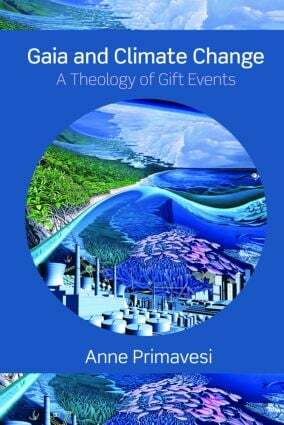 The basis for change explored here is that of gift events, particularly as evidenced in Jesus’s life and sayings. Its legacy of love of enemies and forgiveness offers a basis for nonviolent theological and practical approaches to our situatedness within the community of life. These are also Gaian responses, as they include foregoing a perception of ourselves as belonging to an elect group given power by God over earth’s life-support systems and over all those dependent on them, whether human or more-than-human. The degree to which we change this self-perception will determine how we affect, for good or ill, not only the givenness of the climate in future but the givenness of all future life on earth. The God of Jesus – or of Caesar?